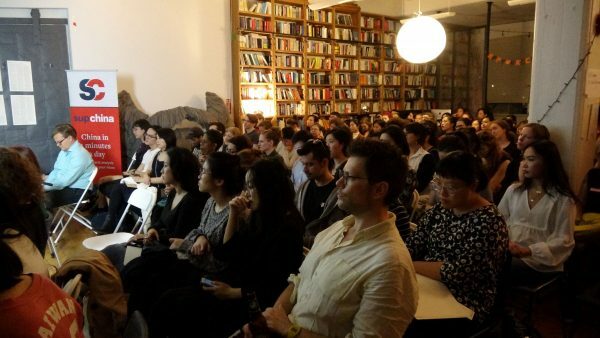 BY CINDY GAO NüVoices NYC’s launch event was a standing-room only success hosted at Verso Books on November 1, 2018. 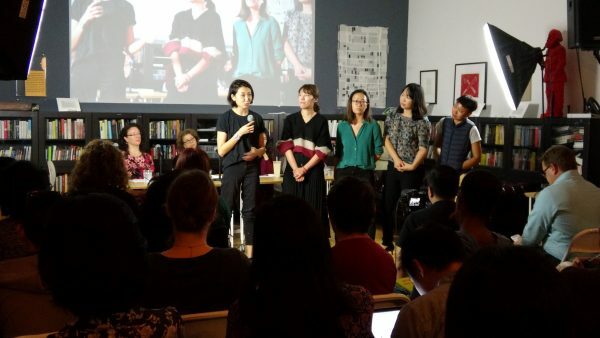 The all-female panel discussed contemporary feminist organizing in China against the authoritarian, patriarchal Xi Jinping administration. Joanna Chiu (@joannachiu), chair of NüVoices, moderated the panel consisting of Leta Hong Fincher (@LetaHong), Rebecca Karl, and Lü Pin (@pinerpiner). The event was translated by Lu Chen. Leta’s new book, Betraying Big Brother: The Feminist Awakening in China released by Verso on September 25, 2018, focuses on the happenings around the arrest of the Feminist Five in 2015 and its implications of and influence on the entire feminist movement in present day China. Bringing feminism front and center in society requires “a complete restructuring of the world,” says Rebecca, Professor of History at NYU. “The time has come to ‘defamiliarize’ ourselves with the world where men are the voices of China scholarship. Tonight’s event is a big step, making sure that there are feminist voices in the mix,” she says. Lü Pin, who took part in the UN Women’s Conference in 1995 as a journalist, left her job soon after to found Feminist Voices (女权之声), China’s largest new media platform on women’s issues, whose Weibo account was shut down by the Chinese government this year. Feminists in China are not trying to overthrow the Chinese Communist Party and are simply trying to improve the lives of women, said Lü Pin, but the government feel threatened by the movement’s potential to mobilize. Feminist Voices was the only site using the term “feminism” back in 2011, but now, there are tens of thousands of women and men in China calling themselves feminists. 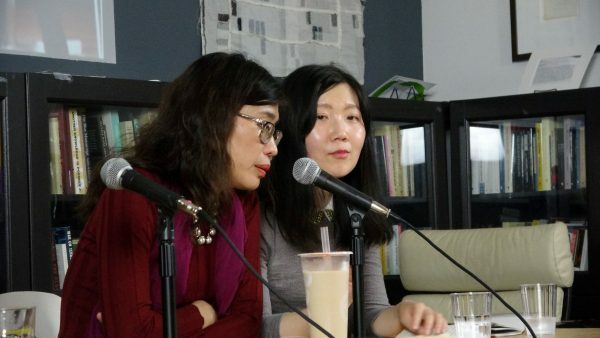 Sophia Huang Xueqin, a Chinese feminist activist and journalist based in Guangzhou and who was in New York for a visit, came up to talk about #MeToo in China and the rise of activism in Beijing and in Shenzhen among college students and workers. Last October, she started a WeChat public account called ATSH (Anti-Sexual Harassment) to conduct national online surveys on workplace sexual harassment and to publish essays on women’s stories and other human rights issues. Leta highlighted the bravery of the Chinese women like Sophie who came forward in the #MeToo movement, using their real names in an extremely hostile and dangerous time, where there is no free speech, free press or independent judiciary. What is promising, says Lü Pin, is that awareness and discussion has overcome state censorship. Young feminist activists feel emboldened and radicalized by intimidation from the state, making it very difficult for the government put an end to the activism. 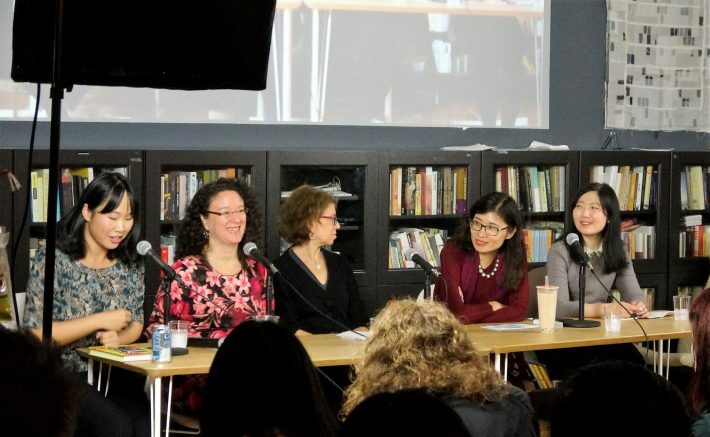 The NYC chapter will hold quarterly events focused on female voices from the Chinese diaspora as well as those generally interested on the subject of China. NüVoices is a collective and we welcome everyone’s input and support, so if you are interested in joining the organizing team, please reach out to Cindy Gao at cyg2002@gmail.com. If you are interested in attending future events, join our mailing list! Cindy Gao (@c1ndygao) is the NüVoices NYC chapter lead. She currently works in healthcare product development at Mount Sinai. She spent two years in Shanghai as a strategic planner in advertising before moving back to New York and switching gears, working in cancer immunotherapy research and computer science education expansion in NYC public schools. She holds a degree in biomedical engineering from Columbia University. Jia Guo (who took all the photos) is a video editor and writer at SupChina, a digital media startup based in New York City that supported this event. She produces short videos as well as documentaries, with a focus on immigration. Prior to SupChina, she worked at Facebook and Bloomberg TV. Jia is from the coastal city of Qingdao in China. She is also a Chinese folk-song singer!SupChina also partners with NüVoices on the NüVoices Podcast. Jiayun Feng is an associate editor at SupChina, where she mostly write about Chinese culture and society. She was born and raised in Shanghai, where she earned her bachelor’s degree in journalism at Fudan University. Interested in writing for a global audience, she attended the NYU Graduate School of Journalism for the Global & Joint Program Studies, which allowed her to pursue a journalistic career along with her interests in international relations. She has previously interned for Sixth Tone and Shanghai Daily. Leta Hong Fincher is a scholar, journalist and author of Betraying Big Brother: The Feminist Awakening in China (Verso 2018). Her first book was the critically acclaimed Leftover Women: The Resurgence of Gender Inequality in China (Zed 2014). She is the first American to receive a Ph.D. from Tsinghua University’s Department of Sociology in Beijing and has written for the New York Times, Washington Post, The Guardian, Dissent, Ms. Magazine and others. Leta was a Mellon Visiting Assistant Professor at Columbia University and recently moved to New York. Lu Chen is a Chinese/English bilingual writer, translator, cinephile, and feminist looking for opportunities. She has published film and literary criticism and nonfiction in Cineaste, The Shanghai Literary Review, The Brooklyn Rail, and dGenerate Films blog, and covered arts and culture in New York for Mandarin Quarterly. She holds degrees from Peking University and UT-Austin and has guest lectured on Chinese cinema at the New School and Emerson College.